Also, some 90 years after its installation still found the originals of “the Frankfurt kitchen”. The recently discovered specimen is currently stored at the Ernst-May-Gesellschaft. What will be done with the historic Ensemble of the 1920s, was open, said the Deputy managing Director of the company, Christine Treutlein, the German press Agency. Conceivable that they will restored and a Museum made. in 1926 by Margarete Schütte-Lihotzky designed the “Frankfurt kitchen” was the first mass-produced fitted kitchen in the world. Until 1930, the building program “New Frankfurt” of the architect Ernst May have been installed with around 10,000 kitchen in apartments. How to get a lot of the “Frankfurt kitchen”, is unknown. The best examples of a sought-after Museum objects today. Four of Frankfurt’s museums have kitchens, but also, for example, the New York Museum of Modern Art and London’s Victoria and Albert Museum. The housing society had discovered sites of Nassau home in the fall of 2018 in the Siedlung westhausen a completely preserved kitchen, as the company reported. 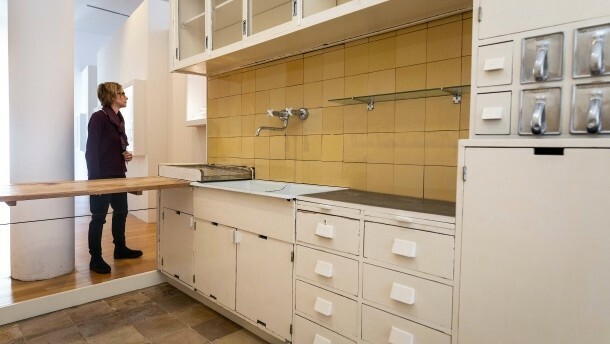 According to Ernst-May-society, it is a particularly compact Version of the “Frankfurt kitchen”.